OAKLAND — A reporter who has written dozens of articles about the 2007 shooting death of journalist Chauncey Bailey received a death threat Thursday while working on a story about a former Your Black Muslim Bakery member embroiled in a series of alleged real estate scams. “If you write that story, you are going to end up like your friend Chauncey,” a male caller told Josh Richman, 40, a legal and political affairs journalist for the Bay Area News Group. 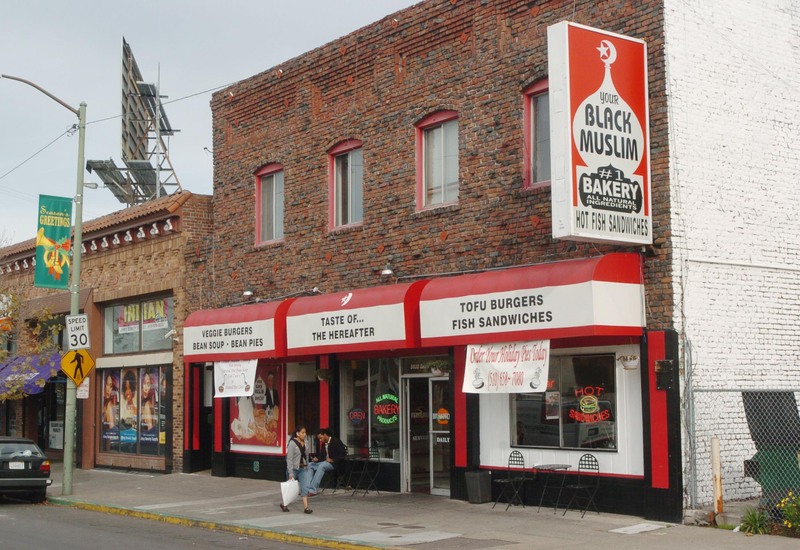 Bakery member Devaughndre Broussard has admitted killing Bailey, editor of the Oakland Post, and said his leader, Yusuf Bey IV, ordered the hit to stop Bailey from writing about the bakery in the newspaper. Police are investigating the threat after interviewing Richman late Thursday. Richman was working on a story about allegations of real estate fraud against former bakery member Jamall Robinson, 25, also known as Aafiya Muhammad, Yasir Hakeem Azzem and Jamal Bey. Richman had conducted a telephone interview with Robinson and asked him about the name Cordell Hayes, which appears on one of the deeds involved in the fraud allegations. Shortly later, Richman said, he received a call from a person who identified himself as Hayes and made the threat. Robinson on Friday referred questions to a Berkeley lawyer, Elana Condes. Condes did not immediately return a phone message requesting comment. The number Richman said the threat call came from was answered by a fax machine. Earlier Thursday, a case of bottled water from one of Robinson’s business ventures was delivered anonymously to Richman’s workplace. Police took the case of Aafiya’s Water for testing. “Obviously, we take these kinds of threats very seriously, particularly in light of the fact that Chauncey Bailey lost his life doing what he did best, which was community journalism,” Keane said. A spokesman for the Washington, D.C., based Committee to Protect Journalists, Frank Smyth, condemned the threat. Richman said the threat will not deter his reporting. Bey IV is on now on trial in Oakland for murder in connection with Bailey’s death and faces charges in several other criminal cases, including allegations of real estate fraud involving false identities, forged documents and bogus loans. Authorities claimed Bey IV and seven associates got at least 19 loans totaling more than $6 million from 10 different lenders to buy 12 houses in Alameda and Contra Costa counties. Broussard has testified that Bey IV promised to pay him for killing Bailey by introducing him to an unnamed person who could improve his credit score and enable him to secure similar loans.